Photo by Ben ChauCW hasn’t been very well and for once it isn’t something she got from me. 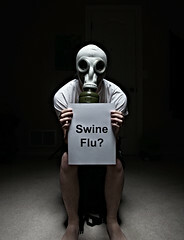 Oh, and for the dirty minded amongst you, I mean she has a cold…or swine flu, possibly..nothing else. I have been trying to do the caring boyfriend bit…you know guys, trying to persuade her to have a sleep to feel better…thus leaving you free to do your thang without running around all day (j/k CW). However, there appears to be another way, one guaranteed to make someone feel better, at least there is according to my youngest, Brandon. Now, I have to say that I can’t recommend this particular homemade Hot Chocolate enough…as soon as I told CW what I was going to make her, she started feeling a little better…imagine how much better she would have felt if I had been able to make it before she fell asleep. Anyone else got any interesting recipes from their kids? This entry was posted in Family, Stuff and tagged food, kids, therapy by Dave. Bookmark the permalink.